Welcome Back to School, University of Redlands! "Sigma is having a connection across generations"
"It is my Sigma sisters that have remained steadfast in my life while others drifted away"
"Sigma is knowing you have a home to come back to no matter how far you go"
"While people may graduate and new people join, sigma has always remained my true home"
Find a place where you feel at home and feel that you are yourself. This is not just for Four Years its for life! These wonderful ladies received their Bachelors degrees. 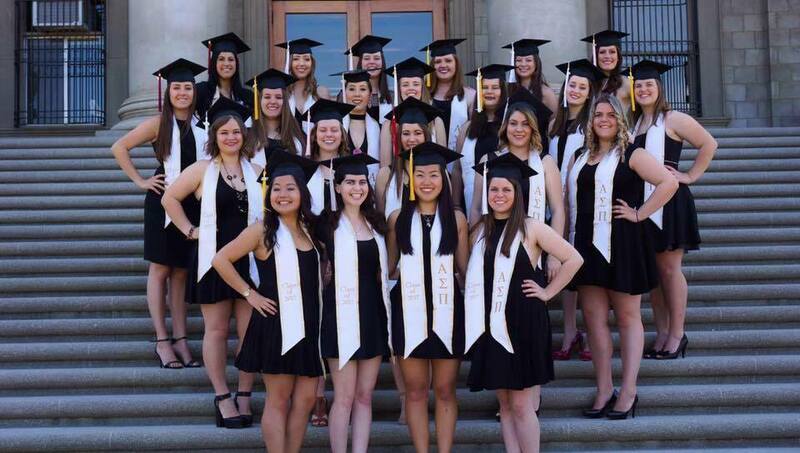 They have accomplished a great deal in their four years at the University of Redlands and in Alpha Sigma Pi. Congratulations to Class of 2016! Alpha Sigma Pi alumni and actives gathered to celebrate 103rd Birthday Luncheon! Check back for more details about the upcoming Birthday Luncheon.